Faster. Stronger. Steadier than ever. 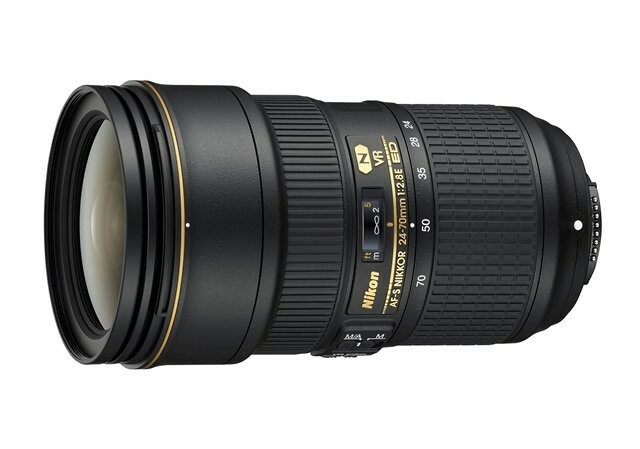 Offering industry-leading image quality, the AF-S NIKKOR 2470mm f/2.8E ED VR responds to the demands of professional use with exceptional integrity. The introduction of Nikon’s powerful Vibration Reduction (VR) and a brand new optical construction breathe new life into this workhorse: the most widely used professional lens in the NIKKOR line-up. VR offers an impressive four-stop advantage, effectively minimising the blur that can be caused by camera shake. Nikon’s exclusive Silent Wave Motor offers faster AF performance. In addition to the stronger build, a fluorine coating on front and rear lens elements actively repels water, dust, and dirt. 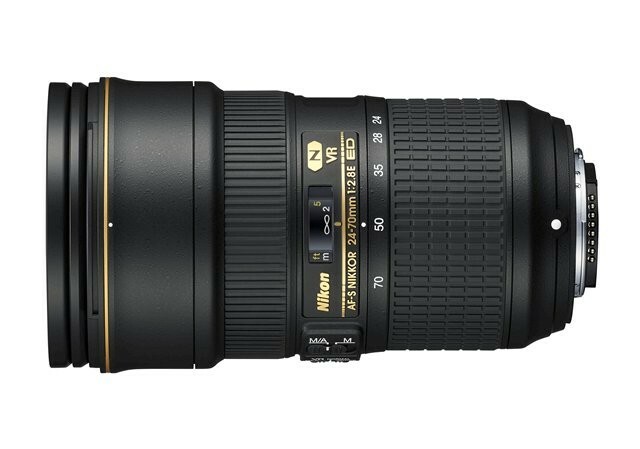 Professional f/2.8 standard zoom: 24–70mm focal length range (DX-format equivalent: 36–105mm). The go-to wide-angle to medium telephoto zoom, no matter what you shoot. Fast f/2.8 aperture: enables exceptional low-light performance and consistent exposure across the entire zoom range. Vibration Reduction (VR): minimises camera shake and lets you shoot at shutter speeds up to four stops slower. Superb performance: this lens yields outstanding clarity and contrast throughout the frame. The optical design effectively counters colour fringing and chromatic aberration, and controls distortion throughout the zoom range. Advanced optical construction: includes a newly developed aspherical extra-low-dispersion (ED) glass element, as well as three aspherical lens elements, two ED glass elements and a High Refractive Index (HRI) element. Nano Crystal Coat: reduces ghosting and flare for greater image clarity. Rugged and reliable: resilient and sturdy construction built for intensive and demanding professional use. Fluorine coating: actively repels water, dust, and dirt without compromising image quality. The coating is applied to the protective glass on the front and rear elements of the lens, where it also makes it easier to clean the glass without damaging the surface. Detachable hood with lock and soft case included.